Your favorite wallaby from the 90's returns as a highly detailed Eekeez mini-figure! 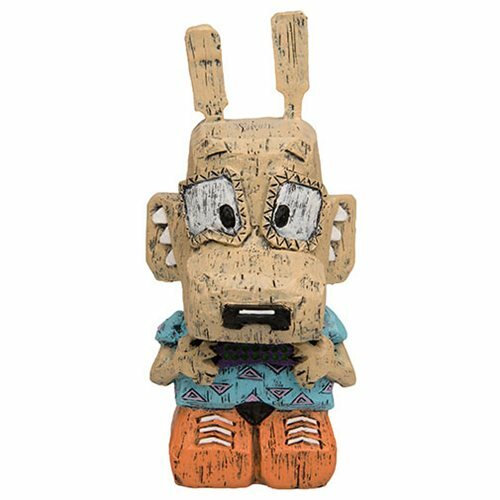 Rocko's Modern Life Rocko Eekeez Mini-Figure. The exceptionally detailed polyresin figure stands 4-inches tall and comes in window packaging. Rocko comes dressed in his blue shirt and orange shoes as he's flashing a toothed smile.